Hey Everyone! And just like that it’s April! My goodness, March sure flew by fast! It seemed like a blink of the eye to me! It’s that time of the month (early this month) where I am sharing my recent guest post from SoFabFood, this month it’s this homemade Homemade Tomato Soup and Grilled Cheese recipe. This is nostalgic comfort food – you can’t go wrong with grilled cheese and tomato, am I right? Just like mom used to make only better because the soup doesn’t come out of a can, this healthy comfort food is a deli-style meal you’ll love. 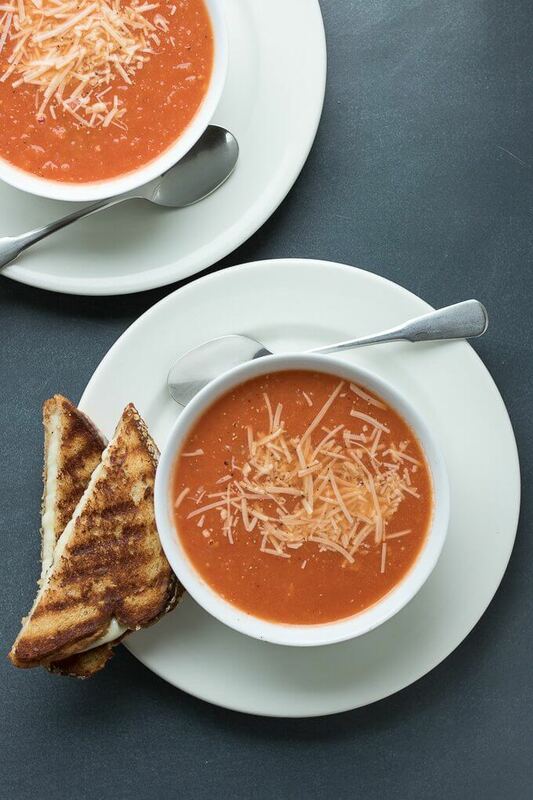 Homemade Tomato Soup and Grilled Cheese is exactly the 30-minute meal your lunchtime needs! If you would like to see all the posts that I have done on SoFabFood, here are all the teasers on Life’s Little Sweets.